Are you looking for the biggest monopod selection? It makes sense to go with an on-line retailer that offers monopods, tripods, and selfie monopods from many different sellers. Because there are so many models, manufacturers, and distributors it also seems logical to pick a retailer that has a lot of consumer-written monopod reviews. Written give you good feedback on the quality and features of any one given monopod you are researching. 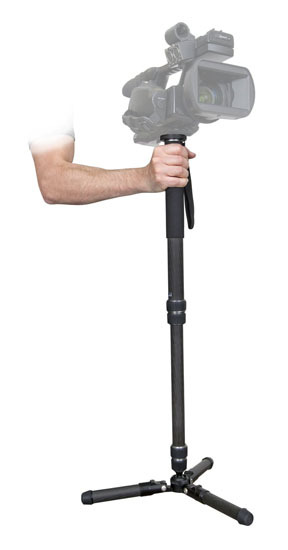 I searched the retailers above using only the search term "monopods." I excluded eBay since you do not get the unbiased reviews of several consumers on any one item. B&H Photo was my biggest supplier for photography equipment for the many years, before the on-line shopping market expanded so dramatically in the last decade. WalMart is usually a more popular destination to drive to and physically walk up and down the isles to shop (and look at all of the other interesting shoppers). Adorama is one of several big retailers, like Samy's, Abes, or Porters of photo equipment who were big mail order photography companies and have transitioned to on-line camera sales. Samy's Camera in New York City- 37 monopod choices. There were no choices for selfie sticks. Adorama search came back with 191 results, many of them had at least 5 or 10 customer reviews. BHPhotoVideo listed with 237 monopods for sale. Most of them had 1 or 2 reviews at the most. Walmart had 495 results, but a significant number of the items were actually kits that included several accessories to make the offers more appealing. Amazon search came up with 42,989. I only reviewed the first 20 pages, each of which has 16 items for sale. Not every single result was an actual monopod. A few were accessories related to monopods. 1. If you see a monopod price that is significantly cheaper than one of the big trusted retailers it may be a scam, particularly if that merchant only accepts checks or money orders as payment. 2. Only pay with a credit card, then you have the protection built into your purchase. sEnding a money order or check could mean a scammer takes off with your money and you are stuck. 3. Only buy a monopod if you get the opportunity to read at least several reviews on it. Relying on just one or two monopod reviews does not give you a good enough sampling to make a choice on the right one for you. 4. Use an online retailer that lets you sort out the results page when you search for the biggest monopod selection. You should have the ability to sort the results by price, or highest rated, or most popular.